After a promising debut album, recorded in down time between bigger artists’ use of the studio, Queen had the confidence to demand more time on their own terms. The result, the somewhat unimaginatively title Queen II is their first masterpiece. 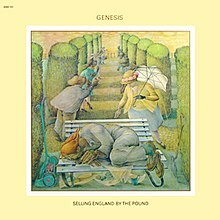 Divided into sides White and Black rather than A and B, with pieces seguing into each other and (with the exception of Roger Taylor’s Loser In The End) a strong lyrical thread of fantasy there was more than a hint of “concept” to this album. Opening Side White is a Procession, starting with a bass drum heart beat (in 3/4) and Brian May’s soon to become very familiar layered, violin guitar sounds leading into the first proper track, Father To Son. Although there is an underlying verse/chorus structure at the start it feels much more free, and this only continues as the song plays out through new theme after new theme, never quite stopping for long enough to let the listener settle and by the time it eventually comes circle only four minutes have passed. This is a song that could have easily been stretched to double its length but that is perhaps part of its appeal. In addition, the guitar work really gives an early view of Brian’s versatile but easily recognised style and the harmonies are recognisably the Queen that would eventually be producing Bohemian Rhapsody and the like. The end of the track segues smoothly into the much gentler, sadder White Queen. Again, the song structure leaves the listener guessing for a lot of the song and while there is a more noticeable verse pattern they are anything but straightforward and predictable and there’s not really a chorus as such, more of an ever-changing set of alternatives to the verse. The track builds to a climax through an acoustic guitar solo which sounds almost like a sitar, and then eases out. The first of the slightly out-of-concept tracks is the Brian May vocal track, Some Day, One Day which is one of my favourite things he’s done acoustically. Layered guitar lead lines weave over a very jangley acoustic guitar and vocals line with John Deacon’s bass work being well worth a little bit of attention in its own right. Next up is Roger Taylor’s The Loser In The End which is even more out of character but forgivably so with its quirky drum intro and mini-solo and again both Brian and John play out of their skins with some outstanding parts. And of course, in any normal rock band, Roger Taylor would have been the lead vocalist. But normal rock bands don’t have Freddie Mercury. Speaking of Freddie, his absence for the last two songs is rectified at the start of Side Black with the entry of the quite literally awesome Ogre Battle. Swirling cymbals, trademark “Ahh!” vocals and a guitar part which Brian May learned and played backwards, then reversed to give an otherworldly feel to the intro and then at one minute, Freddie starts telling his story. The relentless riffing and interjected vocal harmonies and screams make this a glorious track for turning up really loud. Next up is The Fairy Feller’s Master-stroke, inspired by a Richard Dadd painting. More frenetic guitar and vocal lines are joined by a harpischord (used to surprisingly good effect) and by the time you reach Nevermore you’re ready for the light relief it provides. The March of the Black Queen begins with ominous piano and guitar trills before leading through another disorienting array of themes and sections, building into a chaotic and poly-rhythmic chaos before settling for a a few verses of piano and vocal with interjections from the drums and guitar. The tempo picks up again and the song heads towards its false ending before a surprise epilogue bridges into the wall-of-sound track Funny How Love Is. And then we’re at the last track, which is the same track which closed their first album. Except this time they’ve finished writing it. With added lyrics, a raised tempo and some more structure Seven Seas Of Rhye is transformed from its original somewhat flat version into something that would give Queen their first proper taste of chart success. I suppose as an album it’s less polished than A Night At The Opera, but some of that rawness and the explosion of creativity you can feel from a band who finally have space to explore and to let their combined and individual genius shine results in something that I find lifts the album. It’s tied with ANATO and Innuendo as my favourite of Queen’s albums, and if you put a gun to my head, I might have to pick it above the other two. This year’s Honourable Mention goes to Lucifer’s Friend for Banquet. This is a really, really tough call because Banquet is a also phenomenal album. John Lawton is one of my favourite singers and the rest of the band are superb and I have no idea why they aren’t more famous. Progressive rock with jazzy, latin leanings and various orchestral instruments (including a really wild clarinet solo), this one only lost out to Queen II because the latter was such a formative album for me. I think in truth, I listen to Banquet more, but I’m going to stay with my original pick. The year is 1972, and Yes are being catapulted to new heights by the success of their late 1971 release, Fragile. Does the curse of pressure to produce a follow-up album strike them down? Uh… no. Close To The Edge is a masterpiece from start to finish. The title track is a sprawling gem of a composition, starting with bird song and wind and three minutes of instrumental chaos interrupted by block vocals (not a million miles away from the ideas which opened Salisbury, though stylistically and technically it is on a different level). It then breaks into an almost shockingly melodic theme, but the relief doesn’t last long as it starts to get harmonically complex again before the first verse pattern kicks in. All five musicians seem to play different rhythms, with the drums and bass heading in one direction, the vocals in another, and the guitar and keys managing to find even more variations on things to do in between. Rhythmically and generally in terms of complex interplay that manages to hang together, it’s a work of genius. 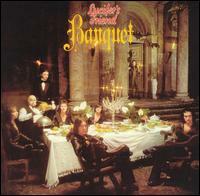 There’s a spacious musical soundscape in the middle with gentle vocals by Anderson and (I’m guessing) Squire and Howe. Again, nothing’s quite straightforward here and rather than harmonising with Anderson, the two second voices sing a second, counter-melodic line which weaves in and out of the main line. A masterful change of rhythm and time signature is introduced between contrasting sections of vocals and cathedral organ before Wakeman elbows his way to the fore with one of his jarring twanging, almost out of tune Moog sounds (but in a good way) and then plays one of those Hammond solos that I seem to forget he’s capable of playing, and then the track comes full circle back through the first verse pattern to the bird song and wind that opened the track. 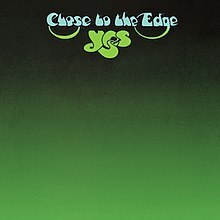 Throughout the piece (and indeed his career) Jon Anderson’s lyrics are characteristically opaque, but the way he uses them on Close To The Edge shows them more as sounds than actual words, an effect made all the more apparent by the way he ties phrases to specific musical phrases or leitmotifs. And You And I relaxes the pace and style, with a strongly acoustic feel (somewhat interrupted by the sound of someone playing through something like a Leslie speaker). The piece morphs through a couple of different parts including a somewhat symphonic section but the main impression I’m left with is of the piece is as a ten minute chill out between the two pieces bookending the album. Again, this is no bad thing but it is a track that I feel benefits from its position on the album and which I probably wouldn’t listen to on its own. The third and final track on the album, Siberian Khatru, is led by Steve Howe’s blistering guitar riff augmented by Wakeman’s odd melltron chords. The rhythm is once again all over the place and there is so much to listen to with no parting being resigned to simple accompaniment of the others. The album is full of intricate arrangements all the way through and so really rewards repeated listening. The playing is always very tight and there is strong confidence evident in everyone’s playing at all times which is probably necessary in making pieces like this work without sounding like a mess. I should make special mention of Squire’s playing which really does show why he is so highly rated as a bassist. While he and Bruford certainly manage the usual rhythm section duty of holding things together, Squire also plays his lines very much on an equal level with the keyboard and guitar in the sense of playing an important part in the melodic and harmonic structure of the pieces. In fact, if you put a gun to my head and asked me to pick out a single star of the album, I think it would be Squire. The album clocks in at what might be seen as a measly 38 minutes, but the amount of ground that they cover in that time makes it feel like a complete album. Playing a little game of “pick the track you’d add to this album,” I don’t think I’d change anything: It’s a five star album as it stands. 1971 was amongst the hardest years for me to choose an album from. 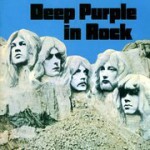 In the end Deep Purple’s Fireball missed out because In Rock was the winner for 1970. 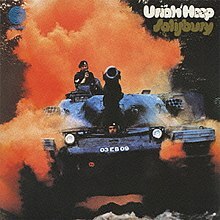 I chose Uriah Heep’s Salisbury over both ELP’s Tarkus because, though they are both albums made special by their title track, I find Salisbury to be an album of songs with a shining gem of a piece, where Tarkus is a shining gem of a piece surrounded by filler. So, Salisbury it is then. The album opens in dramatic style with Bird of Prey (unless you live in the US, which has a different track listing!) interspersing guitar riffing with stacked vocal “ahhs”. Byron’s mid-high range can be a little thin at times but generally his voice is good and the effect here is unusual and grabs attention. True to style, though it starts like a fairly straightforward rocker, the track has a few changes of pace and extended ideas which make it more interesting. The next four tracks wander back and forth between styles with The Park being a pleasant laid back drifter of a number, Lady In Black an driving acoustic number sung by Ken Hensley, and Time To Live and High Priestess being rockier. But really, this album is all about the title track. 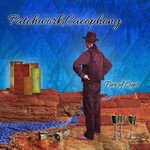 A magnificent piece of progressive rock mixing a small orchestra with the rock group. Unlike Jon Lord’s Concerto which is quite classical, this is a more standard rock instrumentation using the orchestra more in “horn section” fashion. As a piece, it goes through several well-defined sections. Opening with orchestra and hammond, broken up by a woodwind break, it finally comes together rhythmically after about two minutes and before breaking into a vocal section. Lyrically it’s pretty banal — the story of the birth and death of a love affair, going full circle into the arrival of the next love — but for some reason the lyrics don’t detract much for me. It’s well sung. Actually, those vocals deserve mention: having previously said that Byron’s voice can be a bit thin at time, he pulls a blinder in this track ranging from soft and delicate to powerful and resonant, with very little use of his scream register. It’s a beautifully orchestrated piece, both in terms of the writing of the individual lines and in terms of the wider development from section to section. It contains some fabulous hammond and guitar work, and the orchestra feels very much and choral parts feel like an inherent part of the composition rather than something thrown on top of a rock band in a kind of just-add-bombast way. All in all it’s a track which serves as a shining example of one approach to the dangerous classical-meets-rock territory which so often falls flat one way or another. 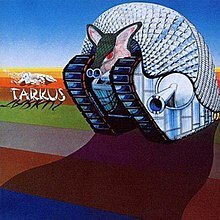 If the contest were between the title tracks of the album alone, I would be writing this article about Emerson, Lake and Palmer’s Tarkus. A monstrous tour de force, dominated by Keith Emerson’s hammond playing, but with plenty of other things going on to keep it interesting. Perhaps it’s a little unkind to describe the other tracks on the album as filler, but while there is some nice work on there, they certainly pale in comparison to the title track, and as much as I like light-hearted tracks (Genesis’s Harold The Barrel would make my Desert Island Discs collection) I find both Jeremy Bender and Are You Ready Eddie? to be all light and no heart. Funnily enough, seminal though it is, I did actually have to think hard whether there was anything else in 1970 that warranted inclusion in my list ahead of In Rock. I suppose the truth is that it’s such an obvious choice that I felt uncomfortable picking it as my first selection. In the end though, there really is no contest. The album kicks off with a cacophony of guitar, primarily, and band thrashing their way around an opening chord before fading into Jon Lord’s odd chromatic keyboard intro to Speed King. Then we get an earful of Ian Gillan. It’s a hell of an opening statement for an album, and must have seemed even more so back then. One of the immediate things that always strikes me when I return to this album having not listened to it for a while is that as heavy and aggressive as it is, the proficiency of the playing really shines through. This isn’t like a lot of crude heavy rock and metal where the aggression seems to come first — this album is heavy, but also tight, dry, and punchy, and manages to get enough light and shade in without losing that hard edged focus. In order to try to go toe-to-toe with Ritchie Blackmore’s guitar sound, Jon Lord ditched his Leslie speaker for much of the album and played through a heavily distorted guitar amp, without a much reverb or anything else to smooth out the edges. That much distortion makes a keyboard a remarkably unforgiving instrument to play and yet it’s skilfully and intelligently played and it really contributes to the sense of tightness of the album. So, stand out tracks? Well Child In Time is, far more so than Smoke On The Water for me, the quintessential Deep Purple track of the era. The extended solos in the middle, Gillan’s vocal work which set the benchmark for rock screamers (though in the live versions he sounded if anything a little rougher and less sterile). Aside from that, they’re all great tracks but I think Flight of the Rat is an overlooked gem — very catchy and with some fabulous keyboard work and some unexpected changes of direction whenever it starts to sound in danger of getting stuck in a rut. Also worth mention is Living Wreck, in particular has got some glorious rhythm work by everyone, with Paice’s drums really shining. On In Rock, Deep Purple were firing on all cylinders and they sound like a band with a strong sense of identity and purpose, something that started to unravel as egos came more into play over time. While later albums touched highs in other ways, they never quite sustained the sense of intensity through an album the way they did here.